Recorded at The Halo Studio in Portland, Maine, "Talkin' Down" was written by Dunham with vocal collaboration from Dave Gutter, the frontman of Rustic Overtones, a psychedelic rock band out of Portland, Maine. 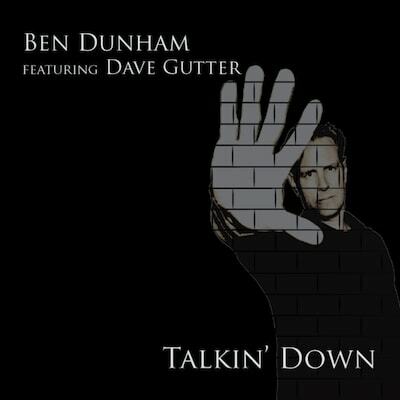 Dunham's partnership with Gutter began after he received a stylistic comparison to the artist during the promotion of his latest album, The Backline Collective, which was released in July of 2017. The punchy, polished track comes in just under four minutes and captures raw, dark emotions. According to Dunham, "The single was inspired by how our thoughts and words carry more weight than we may realize and how people's personal struggles often make it easier to bring others down." On his partnership with Gutter, Ben said, "I have been a big fan of Dave for a long time now, so I was excited to get to partner with him on my newest single. Dave has worked with many big names like Bowie, Aaron Neville, Gramatik, and Eric Krasno. For him to take the time to work with me was incredible, and I think our hard work comes through in the single."